Four powerful strategies I used to stay motivated and hit my weight loss goals with maximum ease and minimum effort. Here we are in February – and I’m very pleased to announce that I have hit my first big goal for 2016! At the end of last year, I set a goal for myself to lose 22 pounds by the end of January. When I stepped on the scale on January 31st, I was delighted to discover that I had achieved my goal. I’m down to 199.2 pounds and I look and feel so much better! How did I do it – beyond the obvious methods of eating less and exercising more? As someone who is always encouraging others to become their best selves and create their ideal lives, I know that I must lead by example and use my own life to demonstrate that the principles I teach really WORK. When I looked at myself in the mirror last year and considered how the extra weight I had gained over the past few years was impacting my health and energy levels, I realized that I needed to make some tweaks to my behavior in order to get back to being the best possible Jack I could be. After all, I want you to do as I DO, not as I say! As you may know, I believe strongly in the importance of setting consequences – so to give myself extra motivation to stay on track, I told all the students in my Train the Trainer class, plus my entire staff and volunteer team that were at the event, that if I didn’t meet my goal, I would throw a lavish dinner party for them at my personal home this Spring. Now, don’t get me wrong – I love socializing. But to throw such a big party for so many people in my own home, and especially right in the middle of my busy training and speaking season? It definitely would not have been ideal timing, hence a consequence that was an effective motivator. No man is an island, they say – and this is definitely true for me. I always find it easier to reach my goals when I have a team of people cheering me on. So I informed my friends and family about my weight loss goal and asked them to hold me accountable, and also told my fans and followers on social media. By announcing my goal and making it public, I felt far more obligated to follow through on it. You may have noticed that last month I announced the release of my latest book, The 30-Day Sobriety Solution. As part of the launch, I decided to use the resources within the program to complete 30 days of sobriety and reset my relationship with alcohol. I am by no means a heavy drinker, but over the holidays I did get into the habit of enjoying a couple of glasses of wine with dinner, and I knew that habit wasn’t serving my weight loss goals (Did you know that a single class of wine has 125 calories, and that a regular can of beer can have 150 calories? Those can add up quickly!). I really feel that spending 30 days alcohol-free helped me feel energized and on purpose and played a big role in helping me lose weight. I’m sure I’ll enjoy the occasional glass of wine again in the future, but I no longer feel inclined to have one or two glasses every night – and the boost in energy and self-confidence I’m enjoying as a result of not drinking is very noticeable. How are you doing with YOUR goals for 2016? 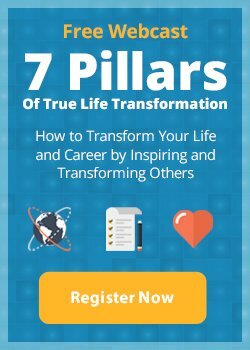 If you feel like you’re having a hard time keeping up with the goals you set for your life and business back in early January, what you might be missing is a clear system that outlines the steps you need to take to achieve your goals – and the community support to help you achieve them. If that sounds familiar, I encourage you to join me and my team at Breakthrough to Success later this month (or this summer). Together we will help you get clear on what you really want from life and overcome the obstacles that have been holding you back from making your biggest dreams come true. If you’re on track with your goals and feel called to help others experience a higher level of joy and success in their own lives, I invite you to sign up for my Train the Trainer Certification program! Our new class of 2016 is kicking off this month and it would be great to have you join us. And when it comes to setting and achieving goals, remember this: when you start taking concrete steps towards your targets you will gain more traction and go much further, much faster. It’s okay to start small – just be sure to take it one step at a time and not give up. Before you know it, you’ll be celebrating the successful completion of your most ambitious goals as well!